You're watching a NEW video series showcasing the members of the Plainfield Chamber of Commerce. Check out the businesses in our area and why you should join us! 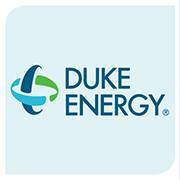 The Plainfield Chamber Chat with Nicole wraps up season 2 with Duke Energy! Nicole Kendall talks with Jean Renk about initiatives Duke is working on and some information on a recent scam that you need to be aware of! Special thanks to The Coachman, Sky Zone Plainfield, The Branches Church and Biggby Coffee Plainfield for sponsoring this week’s program!